This is hard! I never expected for blogging to be this in-depth and time consuming. When I started my blog I thought that I would just waltz into the blog world and get noticed like I was a pro. This is just not the case. This is hard. There is so much more that goes into blogging than just writing. I have thoughts of what to write all the time but when it comes to putting pen to paper, it just doesn’t happen. The thoughts float beautifully in my head but don’t seem so dull when I type them on my screen. I have always claimed that I did not want to be a mommy blogger but I can’t seem to find my niche. This is so important in the blogging world. This is harder than it sounds. When I take a look at the topics on BlogHer I don’t feel like I fit in the perfect topic. I guess I just want to word vomit onto to the page and hope that it cleans up nice. Does that even make sense? I wonder if I can make an addicting blog by doing just that. Is it ok to not really have a niche? One of the smartest things I have read thus far is to not give up. Just keep writing not matter what. Other advice I have read says that my blog will eventually find an audience that can relate. Until then I have to work my third shift call center job, sleep during the day, and hope to find time to blog. I don’t want to give up. I don’t want to give up because I want to eventually make money by blogging. 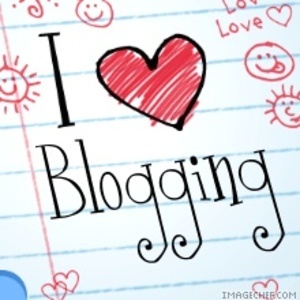 I see so many other bloggers doing such wonderful things with their blogs. One of my favorite blogs is The Suburban Jungle. Jenny is funny and relatable for moms and thirty and forty year olds. She has a loyal following and makes money with her blog. She is the epitome of what I see myself growing into as a blogger. I know this won’t happen overnight and it won’t just fall into my lap but I know it can happen. I will eventually make money with my blog. There are so many questions I have when it comes to making my blog “right”. Should I cuss? Should I talk about deep family issues? Do I risk losing my friends because of the way I call them out? This list really can go on. I have to just use my best judgment because there are many different writing styles. I am sure that eventually someone will tell me exactly what changes to make but until then I will continue to just let the words flow. I know that the more I write, the easier things will get. I will eventually find a niche suitable for an audience that will love me beyond belief. I will eventually make money featuring products that I actually use and want others to know about. As long I keep writing I know that I am doing something right because it makes me feel good.